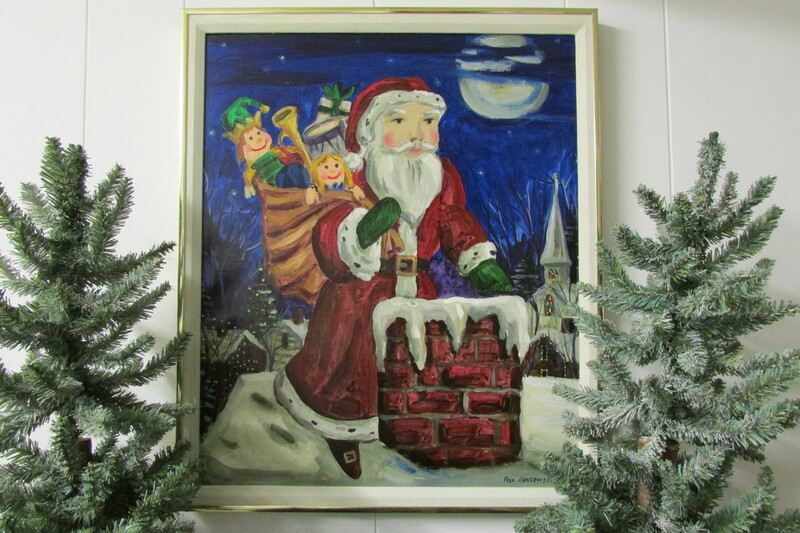 A painting of Santa Claus that I made in 1985. 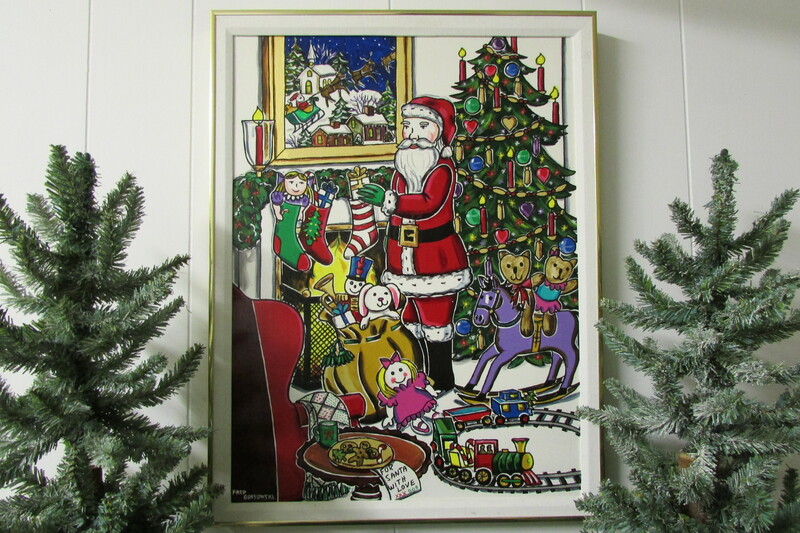 A painting of Santa Claus that I made around 1990 (click on photos to enlarge). Christmas presents under the tree, one for you and one for me. Gaily wrapped in ribbons and bows, Santa left them I suppose. There are walking dolls, and talking dolls, wagons, trains and drums. This is the night for dreams to come true, the night that Santa Comes. (a poem written by me in the 6th or 7th grade (late 1960’s). Wishing all of my readers, world-wide, a Merry Christmas, Joyous Kwanzaa and a Happy, Healthy, Peaceful and Prosperous 2016. 7 Responses to From My home, Whimsey Hill House, to Yours… Happy Holidays! I always love seeing your art work! Thanks so much for sending us cheer from Whimsey Hill House! Your paintings are wonderful and would make beautiful greeting cards! A remarkable amount of talent at such a young age. Good tidings to you as well! Patricia, it is soo nice to get Holiday Greetings from people, like you, that this blog has inspired. Thanks for putting the time into writing your note. Even though I’ve had over seven hundred fifty thousands page views/articles read in 2015, I probably got 100 or so comments. People like your are special and rare to blog writers; most readers must be just too busy or not caring. The Best to you in 2016 also! Mr Gonsowski you are a great teacher, I love the Sketching in interior design, Landscape and Art work very Inspiring. I am new to your world of Blog. REkha Welcome to FGGH and a Happy New Year to you. If you have not yet, look to the right of the screen and you will see the Categories, there you will find the different topics that I’ve written about, and you can find articles on topics that might interest you. In the weeks and months ahead, I hope to write articles that you, and my many readers will find of interest.